The HM Pitje Foundation was established as part of New Gx’s strategy for pursuing excellence and empowerment for communities in the previously black townships. New Gx is conscious of the need for targeted social projects especially those related to education, and will be participating and championing a number of welfare projects, through the HM Pitje Foundation. Developed in honour of Hezekiah Mothibe Pitje, a pioneer of black business and a dedicated entrepreneur and philanthropist, the HM Pitje Foundation was founded in 2009 by Khudusela; Mr. Pitje’s son. The foundation’s primary remit is to establish infrastructure at township schools in Pretoria, focusing initially on Soshanguve and Mamelodi. The foundation will provide both the funding and the assistance required for the development of vegetable gardens, sporting facilities, libraries and computer rooms, thus affording students within these disadvantaged communities the tools they need to better succeed. The Foundation will be headed by Vuyelwa Pitje, the widow of the late HM Pitje, the former Mayor of Mamelodi, who brings a wealth of experience in the management and development of health and education community projects. 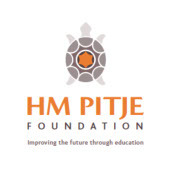 Working on the premise of transparency towards its donors and the provision of essential aid to township schools, the HM Pitje Foundation will continue to honour the memory of its namesake by carrying on the work he started. The Trust will partner with New Gx in BEE transactions to enable the asset base and revenue source for the trust to grow in a sustainable manner thus leaving a lasting legacy. With years of professional experience as a lecturer, counsellor and teacher, Vuyelwa Pitje was the perfect match to lead New Gx’s Community Social Investment initiatives.